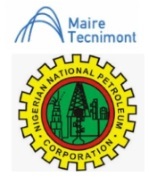 édité le 22/03/2019 - Plus de news de "Maire Tecnimont" - Voir la fiche entreprise de "Maire Tecnimont"
Maire Tecnimont S.p.A. announces that its subsidiaries Tecnimont S.p.A. and Tecnimont Nigeria Limited have been awarded a contract for the “Phase 1 Rehabilitation Project” by Nigerian National Petroleum Company (NNPC), to carry out a complete integrity check and equipment inspections of the Port Harcourt Refinery Complex, owned by Port Harcourt Refinery Company Limited (PHRC), a subsidiary of NNPC. Maire Tecnimont S.p.A. is a company listed with the Milan stock exchange. It heads an industrial group (the Maire Tecnimont Group) that leads the natural resources processing sector (plant engineering in the oil&gas downstream industry, with specific technological and execution capabilities). Through its subsidiary NextChem the Group operates in the field of Green Chemistry and technologies supporting the energy transition. The Maire Tecnimont Group operates in approximately 45 different countries, numbering around 50 operative companies and a workforce of more than 6,100 employees, along with approximately 3,000 additional Electrical & Instrumentation professionals.